Magnum Collision Repair Center is one of the few facilities in the country to be Certified by McLaren for Automotive Refinishing. Our factory-trained and certified technicians are in a unique position to return your McLaren to pre-accident performance and structural integrity. We confidently provide a Lifetime Warranty for our repairs because we know that we have the training, tools, and experience needed to restore your McLaren to factory specifications. This warranty covers all workmanship and paint. We are dedicated to achieving 100% customer satisfaction and the highest quality repairs available – anywhere. Need an Estimate on McLaren repair? We understand the value of McLaren vehicles. An accident should not tarnish their unique driving experience. 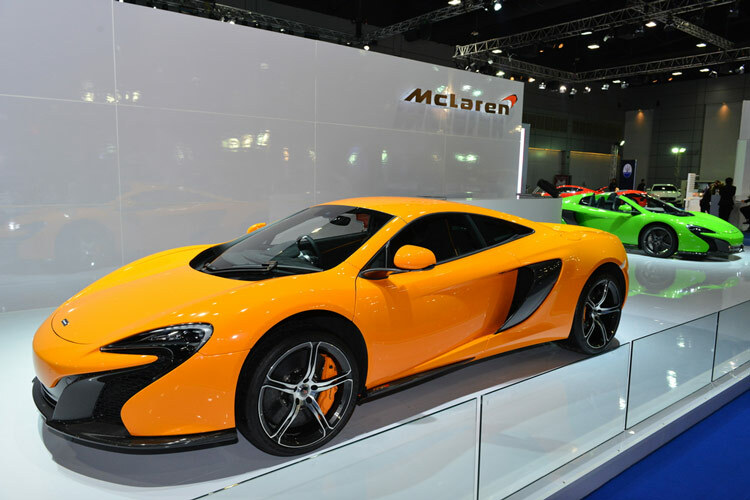 A McLaren’s design is meticulous. Every piece plays a role in performance, comfort, and safety. By using advanced materials they have cut weight and boosted speed and handling. During a repair these materials require expert workmanship and specialized tools that only our highly trained technicians can provide. Your McLaren was hand crafted and personalized for your tastes. Likewise, Magnum provides personalized service for each repair that comes to our shop. You will be well informed throughout the repair process. We take the time to inspect the vehicle and make sure that it is returned to the exact condition it was in prior to the collision. It’s important that your vehicle’s performance and safety is maintained. We will also ensure the aesthetic value of your McLaren as well. Our technicians are certified in McLaren refinishing processes. McLaren’s are often custom painted and designed. Our job is to make sure that the finished repair is identical to the McLaren that you had created. There is no aftermarket alternative to genuine McLaren parts. In order to achieve a complete repair on your vehicle we only use genuine parts. Every piece of your McLaren plays a role in its performance, comfort and safety. From lightweight carbon fiber structural components, to high-tech sensors, your McLaren will be restored to exact factory specifications. Our technicians have been awarded more manufacturer certifications than any other body shop in the region. We have done this by being dedicated to repairing vehicles to like-new condition. We do not believe that the performance of a vehicle should be sacrificed just because of a collision. In our hands, your McLaren will be repaired exactly as the factory requires. Steel, aluminum, and carbon fiber unique techniques and tools while being repaired or replaced. Through extensive factory training our technicians know how to handle your McLaren. As always, our repairs are backed up by a Lifetime Warranty and a 100% satisfaction guarantee. Your McLaren is one of the biggest investments you’ll make in your lifetime. Protect that investment with a McLaren Certified repair from Magnum Collision Center.